Some tips and tricks to help lawyers relax. There are many articles and books about how to deal with stress and anxiety. Most are helpful, but don’t necessarily give you effective tips on how to reduce or eliminate stress. I have compiled a list of twelve (12) things you can do (individually or collectively) to get rid of stress. They are listed below in no particular order. Write things down. Many times, we obsess on details because we are afraid we are going to forget something. When we write things down, make lists, or journal, we can give our minds a break and relax because we don’t have to remember everything. We can simply refer to our notes. Meditate, or at least don’t think about your problems for 30 seconds several times a day. When we give our minds a “time out,” it is like rebooting our system. Studies have shown that you don’t have to meditate for any specific time to get the benefit of meditation. Just taking our minds off our problems for even a few seconds can prove beneficial. Exercise. A friend of mine once told me that it is hard to think about your problems when you are gasping for breath. Exercise also has the added benefit of producing beneficial hormones in your brain like endorphins, melatonin, and serotonin. Avoid caffeine, alcohol, and nicotine. Let’s face it, lawyers have one of the highest addiction statistics of any profession. The problem is not only the effect of addiction, but these three substances really do a number on how we feel. Try giving up these substances for thirty days and see – if you can. Bubble gum. No, really. Studies show that the effect of rhythmic chewing on our brains and psyche is beneficial. Plus, there is something really satisfying about blowing a big bubble and getting it all back in our mouth. Being childlike for a few moments can help alleviate the stress. Go outside. We are physical beings who thrive in nature. When we shut ourselves into our asphalt and concrete cages, we lose touch with that, producing what I call the “fish out of water” effect. Go to a park, get on a bicycle, take a jog or a hike once in a while. Smile. Lawyers don’t look happy. We don’t look like we are having fun. We tend to be so damned serious. Smile once in a while. Smiling helps lift our spirits and when we use underutilized muscles, we have to concentrate on something other than our problems. There is an old saying, “fake it to you make it”. Even if you don’t feel like smiling, do it anyway until you do feel like it. Sniff lavender. There are many scents that calm our nerves and our souls. I am partial to lavender. Anything from the mint family, potpourri, roses, cinnamon, and other aromas can go a long way to getting your brain to calm down. Music. We get so focused on our careers, our problems, and our challenges that we often forget the benefits of listening to music. Most prominently, it is hard to focus on the negatives when we are listening to beautiful music. Whether you are listening to mood music, massage music, or classical music, put on those ear buds and chill. Breathe. I am a big proponent of proper breathing. We do not breathe deeply enough to get oxygen to our brains. When we feel threatened we tend to hold our breath or take shallow breaths, and this produces panic. When we breathe deeply and regularly, we can stay rational and calm. Be your own cheerleader. When everyone else is beating you up, why do it to yourself? We all need to love ourselves and to think kindly about what we are doing. Be your biggest cheerleader and remember that you are worthy, loving, and kind. Focus on your accomplishments. No one is going to win every case, do everything without error, be omniscient or know how to handle everything all the time. Our minds can only think one thought at a time, so we need to focus on our accomplishments from time to time. It is not easy to become a licensed attorney. Let that soak in from time to time. Remember, you asked for this. Occasional confusion, anxiety, worry, or self-doubt comes with the territory. It’s when it becomes chronic that we suffer. 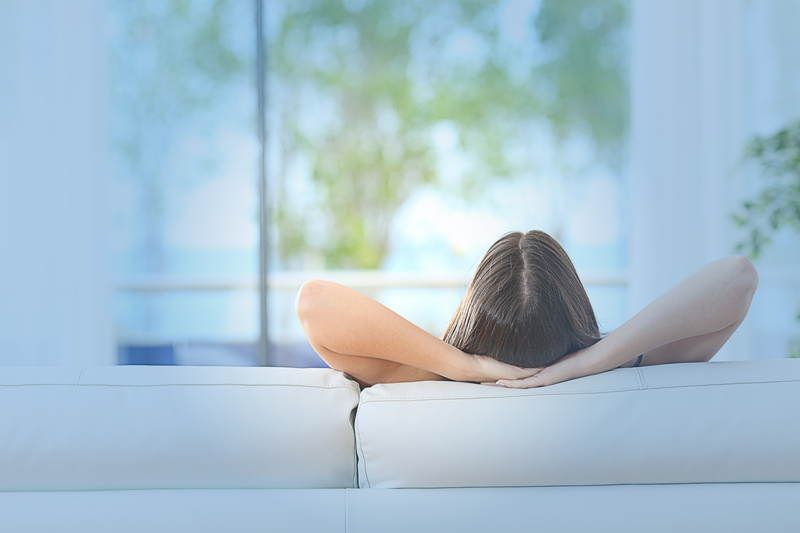 Try these tips to relax and enjoy your life. Where Do Lawyers Go From Here?